The Men's Ceramicool Beanie from Odlo is cool, comfortable and protective – perfect for summer activities in the extremes. 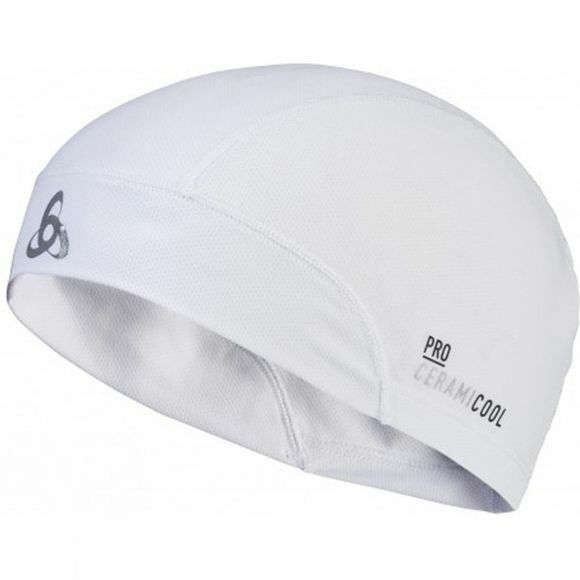 Thanks to the construction from the outstanding Ceramicool Mesh fabric, the Odlo Ceramicool Beanie is comfortable, can keep your skin cooler by up to 1°C and offers excellent moisture management. For sunnier days, it offers sun protection, whilst minimum seam construction eliminates irritation caused by rubbing. Meet your targets with a cool head in this comfortable and protective beanie for the outdoors.